A destination wedding is a unique way to have a vacation and get married in a beautiful location with your friends and family in attendance. When you plan a destination wedding, you’ll need to plan dinners, activities, and get-togethers to entertain your guests. After all, they got on an airplane and followed you halfway around the world to be there for your special day when you get married. The least you can do is have some fun things lined up for them. But since you’re traveling too, you won’t be able to pack along a lot of heavy stuff with you. Anything you bring along will need to be lightweight and easy to tuck into a suitcase. You don’t want to worry about your luggage being overweight, and you don’t want to inconvenience your guests by having something heavy for them to haul home after the wedding. Fortunately, that’s something you don’t have to worry about with custom imprinted koozies from KooziesOnline.com. This is one wedding favor that will be fun, memorable, and useful for your destination wedding. These unique little foam sleeves are lightweight and collapsible, and tuck easily into a suitcase to bring along for your day and reception no matter where you’re going. While at the resort, your guests can use their koozies to keep their drinks cool and their fingers dry. Everyone loves koozies, and these useful little items are a fun souvenir of your day, as well as your guests’ vacation and their time with you. 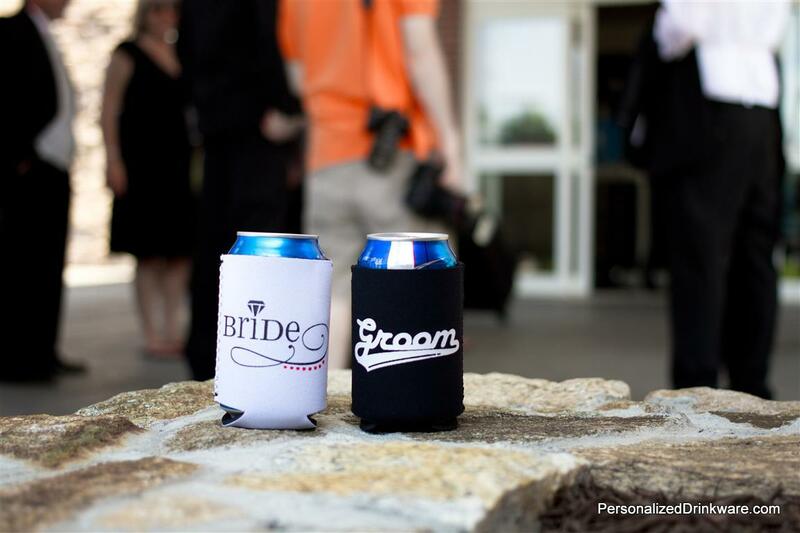 The beautiful thing about koozies as a wedding favor is that they are easy for everybody to take home with them. They fit in any corner of your suitcase or carry-on. And once your guests are home, they’ll have a useful holder for their beer, as well as a reminder of the fun time they had at your day. You can personalize your day koozies with your own custom artwork, or select an image from the free online clipart gallery located on the website. With more than 200 wedding-related images, you’re sure to find something that you love. And you can choose koozies in colors that coordinate with your decorations, or with the theme of your resort. Contact KooziesOnline.com today to place your order.